This year the World Poker Tour finals will take place at The Bellagio, Las Vegas. 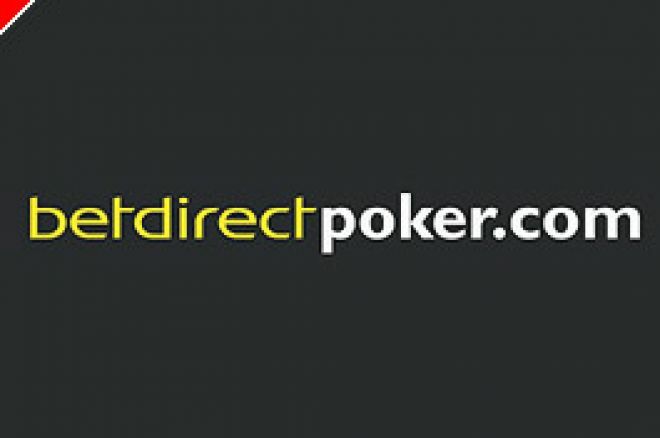 Bet Direct Poker players still have a chance to win their seat, but time is quickly running out. Satellites have been running all month long, on Bet Direct Poker, finally the first WPT Bellagio super satellite is upon us. Starting on February 5th the $1650 buy-in for the on-line finals will be a "wallet buster" for most players. Don't despair. There are still satellites running for the final of this huge event. The winners of which will take away a $30,000 prize package, which includes the $25,500 buy-in to the Bellagio tournament. - $6, $10 and $20 daily satellites running seven times a day send qualifiers to the weekly event, held every Sunday. - The Sunday weekly satellite starts at 18:30 GMT and has a direct buy-in of $180, qualifiers go through to the big one. - The on-line final takes place on Feb 5th and March 12th. A $1650 direct buy-in. The winner of which will go on to take their seat at The Bellagio and play alongside the biggest stars on the international poker scene. There is no time to waste, super satellite qualifiers have one chance for the February on-line final before having another shot for the March tournament.